So today I am going to show you one of my favourite manicures that I have ever done and it is really simple. And to top it all I am doing it in homage to my all-time fav Disney Hero. So as this is a SUPERHERO themed challenge all the way along my thoughts were to do The Incredibles as my manicure for today. However there is one hero who is much cooler (pun intended) and is up in the list of my all time favourite heroes. That's right! Frozone! I mean can anyone be better than a super hero voiced by Samuel L Jackson? In fact Frozone was ranked number 16 in Empire magazine's list of the Top 20 Pixar Characters! Pretty good for a minor Pixar character. 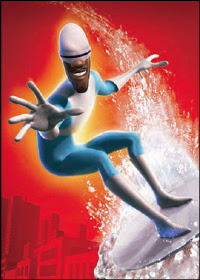 If you can't remember Frozone you NEED to watch The Incredibles again. In fact go do it now! For those who don't know here's some wikipedia for you... Lucius Best (a.k.a. Frozone) (voiced by Samuel L. Jackson) is a long-time friend of the family. Frozone is Bob Parr's best friend, and was the Best Man at Bob and Helen's wedding. He has the power to freeze water, or even the latent moisture in the air. His powers are similar to the Marvel Comics superhero Iceman. He is limited by the amount of water available, either in liquid form, or in the air. It is also indicated that he can use the moisture of his own body, and that therefore, dehydration weakens his abilities. During the movie, it is suggested that he has adapted to civilian life much more easily than his long-time friend, Bob Parr, though he still possesses a hidden cache containing his costume and all of his old gadgets in working condition. This manicure really does look like ice. After my base coat I applied three coats of Barry M Blue Moon, which is the daintiest baby blue that I have ever seen. It is almost white yet is ever so pretty. The first coat applied sheer but the colour built up easily. Then I applied a coat of Models Own Indian Ocean from the new Beetle Juice collection. A sheer blue duochrome that shifts pink and has almost coppery hue. Can I just say that those two work together so well and make for one lovely manicure. To create the ice effect, once this was dry I added a coat of Barry M's White Crackle. Doesn't it look great? 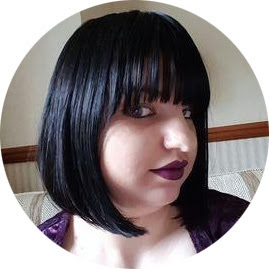 So who is your favourite Disney Hero? Badass! I need to watch this film asap !